It's real that our Superstar Rajinikanth's official Twitter handle has been reportedly hacked by unknown person. 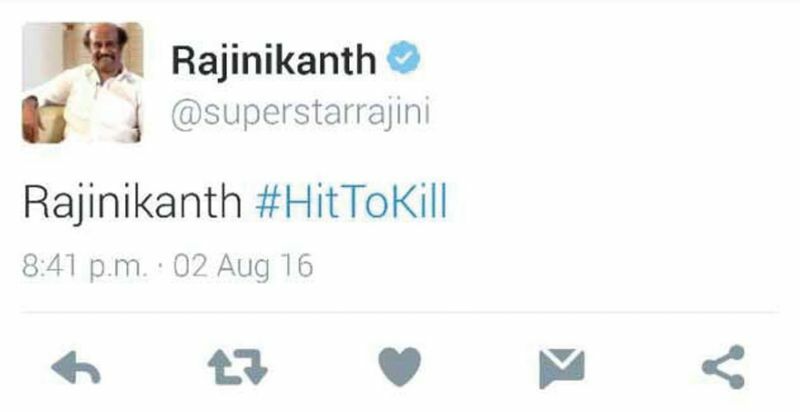 Earlier today, their was a tweet in Rajinikanth Twitter saying "Rajinikanth #HitToKill". Post this fans of Rajini have worried about this but finally news brokeout that the account has been hacked and it is done by miscreant. Finally Aishwarya has announced about the hack as " @superstarrajini appa’s account was hacked..handle retrieved. Thank you all :) #AllIsWell"
Write & Share about "Rajinikanth Twitter handle hacked | Tamil Movie News | Cinema Profile" !